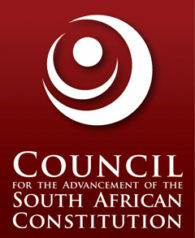 The Council for the Advancement of the South African Constitution (CASAC) is deeply concerned that Mr Solly Tshitangano, the former Acting Chief Financial Officer in the Limpopo Department of Education, was dismissed in December last year despite playing such a valiant role in exposing evidence of corruption and maladministration in that Department. We believe that Mr Tshitnagano has been victimised for his role as a whistle-blower with regard to the irregular awarding of the tender for the supply and delivery of school textbooks. In the on-going fight against corruption we should be lauding such loyal public servants as Mr Tshitangano and honouring their commitment to efficient government. Instead Mr Tshitangano has had to resort to the Labour Court to seek to have his contract of employment reinstated. Ironically, in defending the claim by EduSolutions for the reversal of your Departments decision to revoke the tender, your Department has made use of the information made available by Mr Tshitangano. You therefore implicitly acknowledge the important role he has played in highlighting the irregularities that led to the tragic delay in delivering textbooks to learners in Limpopo province this year. As part of its Red Card Corruption campaign, CASAC has emphasised the importance of protecting whistle-blowers, and we have indeed called for greater protection for these individuals. We therefore call on you to take all necessary measures to ensure that Mr Tshitangano is expeditiously reinstated. Laws such as the Prevention and Combating of Corrupt Activities Act 12 of 2004 (PACCA) and the Financial Intelligence Centre Act 38 of 2001 place a responsibility on citizens to report corrupt and other unlawful conduct of individuals and organisations. It is surely incumbent on your Department to encourage and foster a culture of whistle-blowing so as to rid ourselves of the plight of corruption and maladministration that hampers government efficiency. By reinstating Mr Tshitangano you will be demonstrating that Government acknowledges the important role played by whistle-blowers, and is committed to protecting them and punishing the beneficiaries of corrupt practices.